Q. Is there a way to search only within a certain part of the library collection, i.e. Children's materials or the Reference Collection? 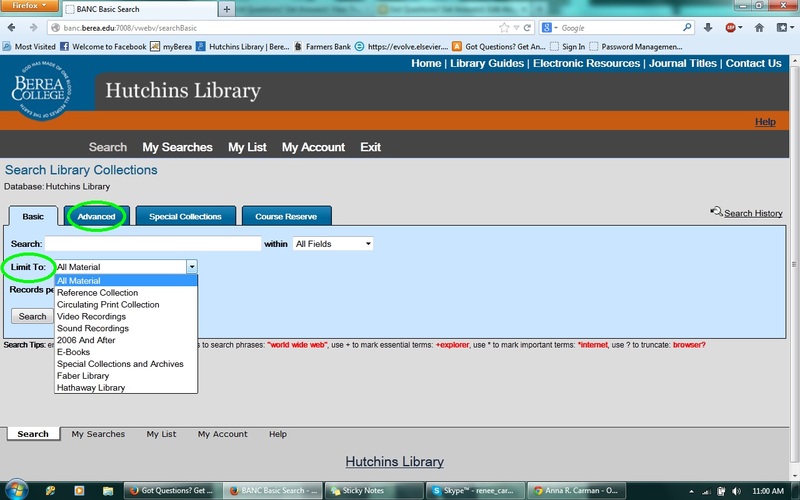 The short answer, is yes, there is a way to limit your search within BANC to specific sections of the Hutchins Library collection. Below are some examples on using the BANC search limiters. Beneath the search text box are the words "Quick Limit." When you click this a list of limiters will fall down. These include videos, dvds, cds, popular reading, items from the last ten years, Reference, E-Books, and any web resources. If the limiter that you are looking for is not one of these, you will need to perform an advanced search. This is the second highlighted option. See image below. Click on "Advanced." It will take you to a page that has many more search options. Circled below is the limit menu based on location such as the children's collection, Special collections, the Mountain collection, etc. In addition to the location or collection limiters, there are many more limiters such as language, date, place of publication, and publication status. 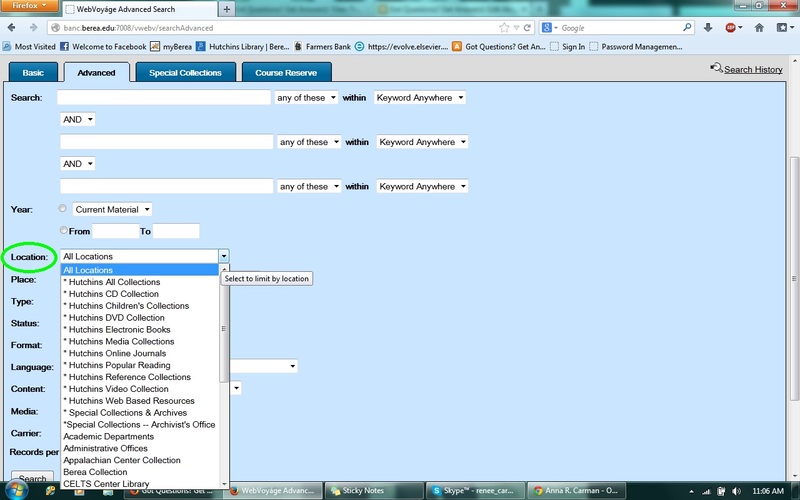 You can use one or more these to make your BANC search more specific.